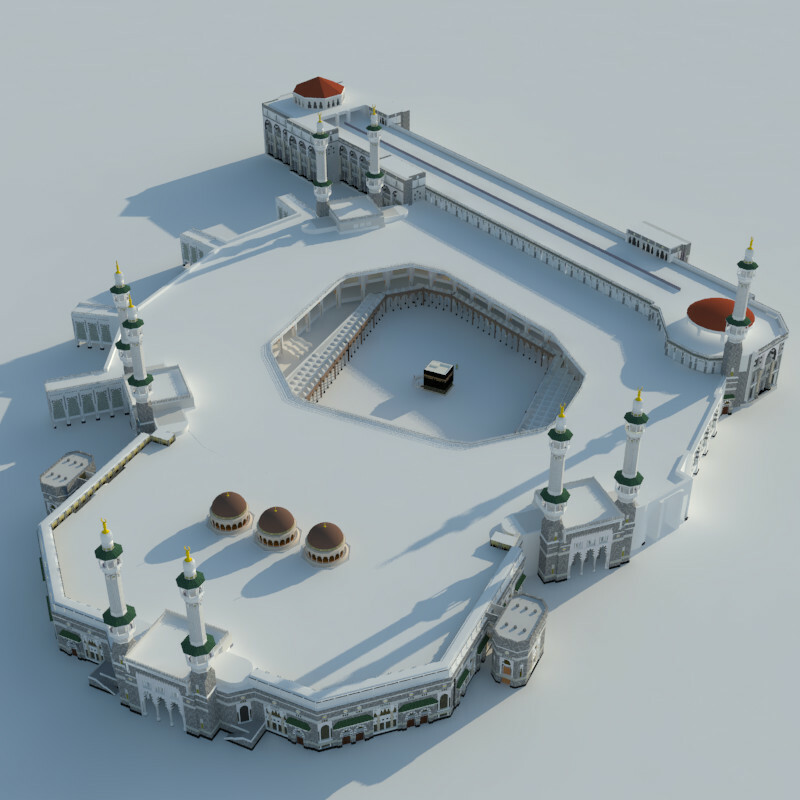 Viking is in-charge of Electrical/Mechanical works related to Mataf Ceiling around Kaba, Minarets and Solar PV in Mecca. 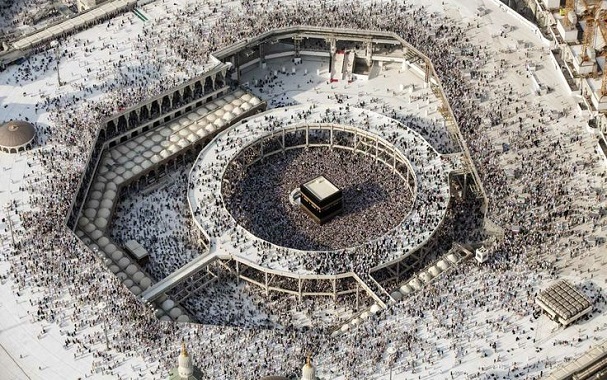 Currently there are in 5 floors around the Kaaba and approximately 2 million LED’s to be installed and connected. LED’s are controlled by DMX/RDM( Remote Device Management) protocol. -Material Submittal preparation and submitals of Luminaries, Down-lights, Electrical Cabinets,Cantilever etc. to DAR Cairo. The frame structure offers a maximum load-bearing capacity with a minimum amount of material. The high stiffness allows for a high comfort for pilgrims. The entire structure can be built and disassembled quickly without the need for heavy tools which was one of the crucial demands for the work in the courtyard of mosque. -Material Submittal preparation and submitals of Luminaires, Downlights, Electrical Cabinets, Cantilever etc. to DAR Cairo. Installation of auxiliary supply between the distribution board and inverter. Fitting of fuses (left forward) in each string combiner box. Installation of data cabling between the logger, inverters and string combiner boxes. Installation of 1 off earth rod and earth lead to each string combiner box. Connection of each substation earth mat linking the inverters and transformers together. Carry out final glanding / termination of all installed cabling. 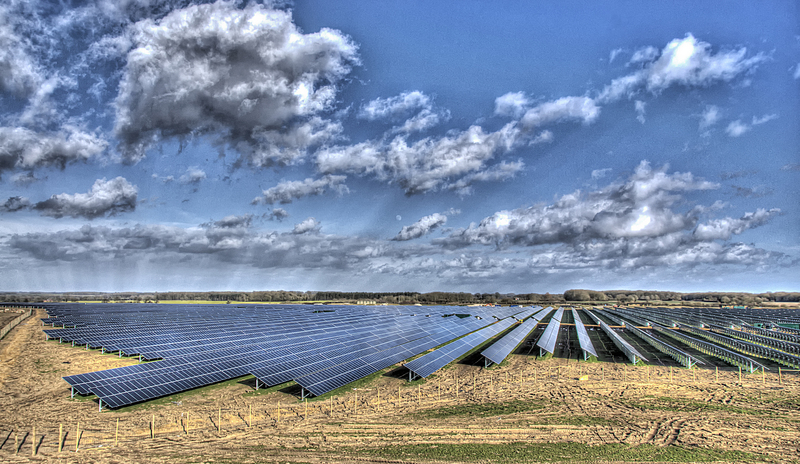 The solar farm , erected by Viking Renewable UK Ltd, is situated on land at Primrose Hill Farm in Lincolnshire. 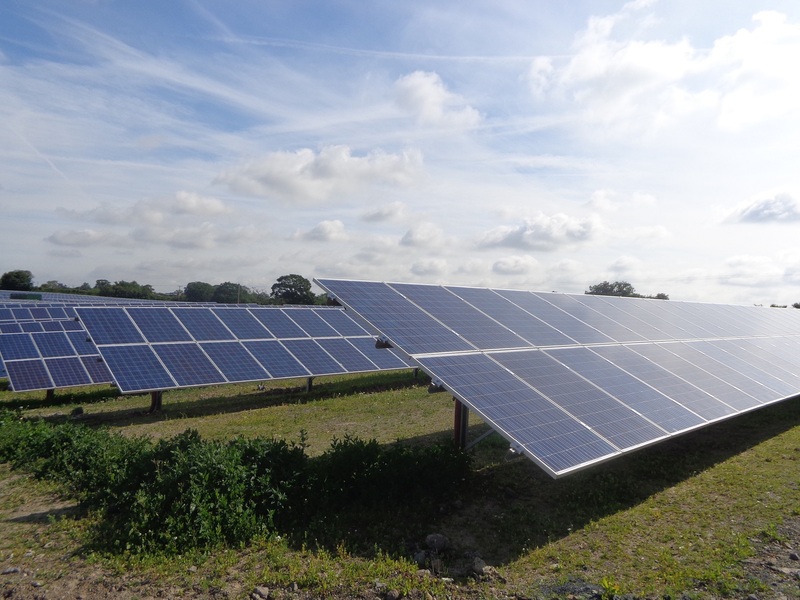 The solar farm will provide the local electricity needs of almost 1,100 average UK households and will save in the region of 2700 tons of carbon dioxide per year. 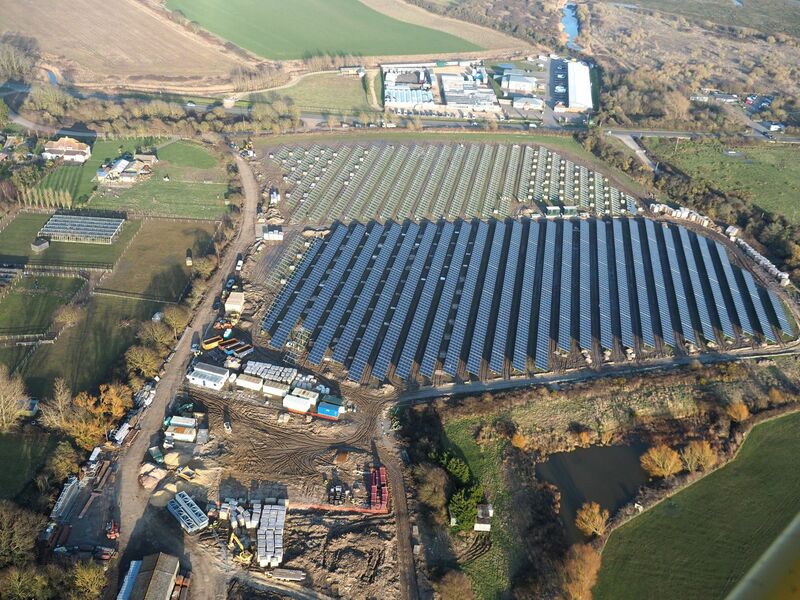 The solar farm, constructed by Viking Renewable UK Ltd, is located to Baker’s Farm. It has the capacity to generate up to 12 MW of clean energy, enough to power around 3,686 average UK households. It would save around 7200 tons of CO2 emissions per year. 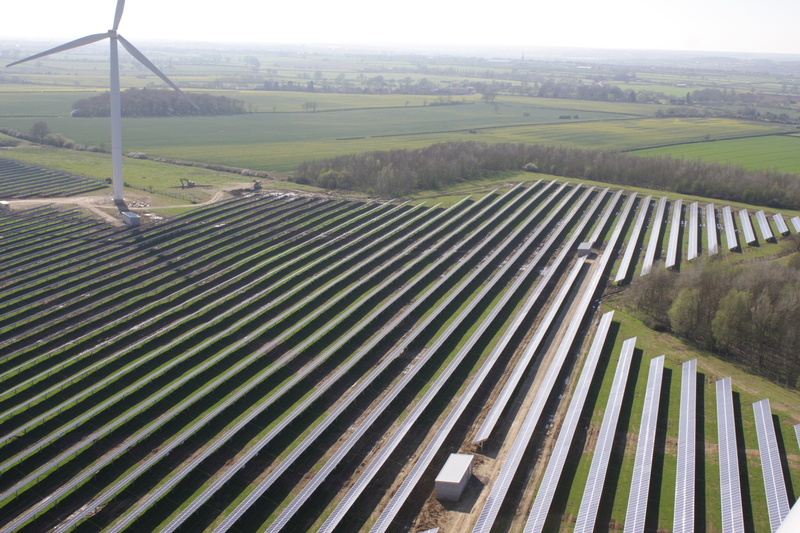 The solar farm, constructed by Viking Renewable UK Ltd, is built on a 22-hectare site at Hayford Farm.The solar farm feeds energy back into the national grid via transformers – generating enough electricity to power nearly 3,000 homes. Monitoring and data transferring cables. In a grid tie system there are no batteries and all the solar energy generated is fed to the loads directly. 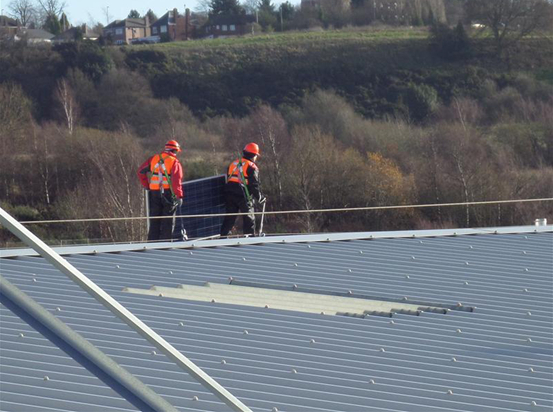 The solar PV system is synchronized with the grid to maximise the use of renewable energy while catering to the connected load in the facility. In the event of a drop in production of solar energy the loads automatically source the remaining energy required, from the Utility/ DG supply without any interruption. In the event of a power failure the solar PV system will continue to work in sync with the DG thus providing uninterrupted power supply to the load connected. 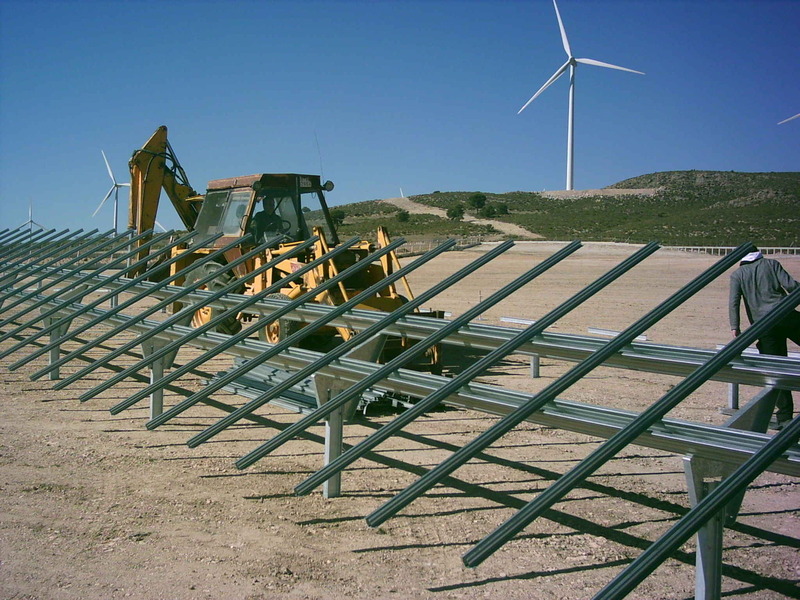 A grid tie system does not provide backup power during a power outage but reduces the EB and DG consumption by maximising the use of solar energy. A grid connected/ grid tie system works very well when the majority of the operation for a given facility is during the day and the facility is energy intensive with backup available for power outages. Battery based systems store the solar energy generated during the day, in batteries, for later usage. An intelligent inverter blends solar power generated with the grid power to supply the loads. 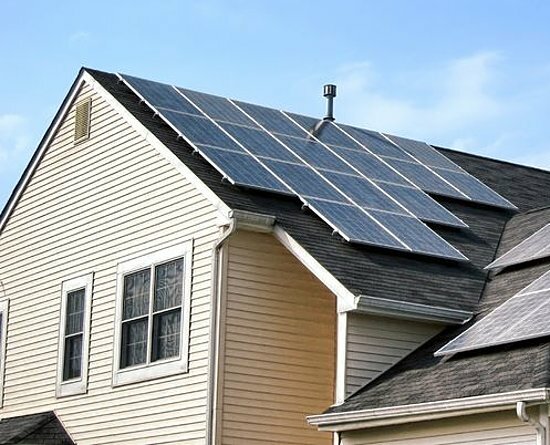 Solar power is always preferred over grid power thereby reducing the overall grid usage. In the event of a power failure, solar power (via the battery bank) takes over completely. Such systems can essentially be either a simple backup system for power cuts or a completely off the grid system where all your energy needs are met by solar power. Module mounting structures for Solar PV systems are designed to maximise the generation with its optimal tilt while also ensuring that they are capable of withstanding prevalent weather conditions. Other than these, VIKING STEEL offers customised mounting structures for its installation with a complete study on load bearing capacity of the building while also considering the aesthetics and functional aspects of access to roof area. For eg. in facilities where the flat roof area is covered with chillers and other HVAC related equipment, our structural offerings can allow for the mounting structures to be raised in order to facilitate the access to the rooftop space while also being able to use the area for PV installation. 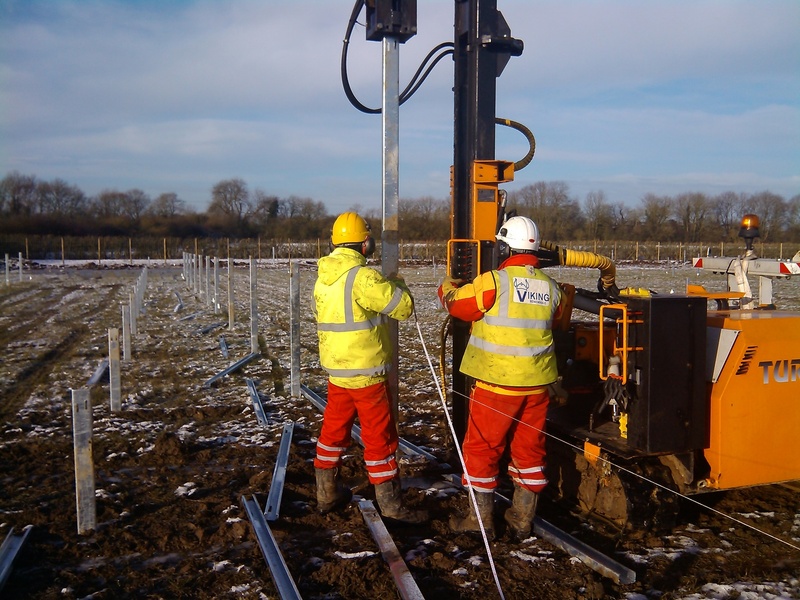 Constructed by Viking Renewable UK Ltd, is a 56 MW two-stage solar project. The project generates enough electricity to provide for the annual electricity requirements of about 20.000 homes, and would save approximately 32.000 tonnes of CO2 per year. Installation of AC cabling between inverters and transformers. Installation of DC cabling between inverters and string combiner boxes. Installation of DC cabling between string combiner boxes and panels. Plugging of all panels together. Installation of data cabling between the Aurora logger, inverters and string combiner boxes. In the Municipal Term of Jumilla, (Murcia), Spain, a private Estate known as Barahonda, is situated. For its location in the Catastral Registry the Polygons 194 and 195 of the Region of Murcia, are given as a location reference. The approximate total extension of Barahonda is of 1,500,000 m2, mostly dedicated to the cultivation of vineyards. It is the last private Estate within the Region of Murcia bordering with the Province of Albacete, (Castillo la Mancha). In the highest part of the Estate, and within its boundaries, “La Sierra de Los Ladrones” is situated. This mountain range is the natural border between the Autonomous Region of Murcia and the Autonomous Region of Castillo la Mancha. It has the highest Geodesic vertex in the area, 987m above sea level. In this mountain range a wind power plant, known as Los Reventones, has been built. It has a total energy output of 40 MW. The installation and building of the Plant is planned to start in March 2007 and it is envisaged the plant will be ready by the end of December to beginning of January 2008, to start normal production by mid-February. Our large team of experienced engineers, civil engineers, supervisors, experts and operatives are able to provide to our clients all the different areas of expertise needed for the completion of any given project. © 2008-2019 Viking Renewable. All rights reserved.